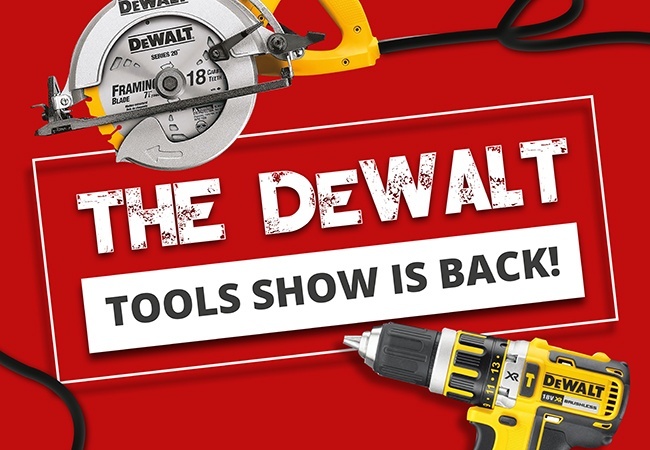 Come and speak to the DeWALT experts, try out the latest tools for yourself and get some event-exclusive tools offers! You can claim a FREE 18v XR Brushless Naked Combi Drill when you buy selected XR Flexvolt kits or outdoor products. Read the terms and conditions and find out how to claim yours here.